We are a leading Manufacturer of multi mill, co mill, lab multi mill, lump breaker and multimill machine from Ahmedabad, India. Our organization is counted amongst the most distinguished manufacturers, supplier and exporters of Multi Mill. Manufactured from superior quality material and advance mechanism, the equipment provides with error free functioning. 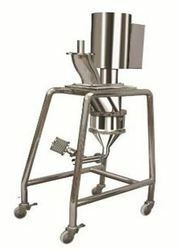 It is an on trolley type with cantilever driving design having detachable sieve design thus, meeting the customers need. Moreover, the machine has PU castors that provide ease of movement. To meet the diverse needs of clients, we have been manufacturing the equipment in varied specifications. Owing to our vast experience, we have been successful in catering to the requirements of our esteemed clients by offering quality assured array of CO MILL having vacuum rated design. The entire structure of the machine is fabricated by making use of stainless steel and the detachable sieve design helps in meeting customers' requirements. The equipment has trolley based design with PU castors for easy movement. Moreover, conical sieve, multi mill sieve and extra set of milling blade are additional attributes of our offered machine. 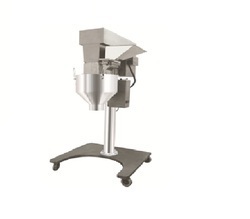 Size reduction Co-Mill is a vacuum rated design. 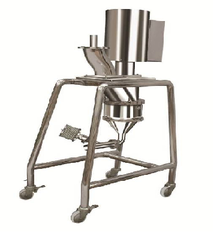 Detachable sieve design to accommodate user’s requirements. Entire Co-Mill structure manufactured from SS-304. All contact parts are manufactured from SS-316. Equipment in trolley based design with PU castors for ease of movement. All the cleaning parts can be easily open able without the use of spanner. During the drug manufacturing process, milling is often required in order to reduce the average particle size. There are a number of reasons for this, including increasing homogeneity and dosage uniformity, increasing bioavailability, and increasing the solubility of the drug compound. “SigmaMill” will be used for milling of dry & wet material. A rotating impeller forces the material outward to a multi mill screen surface, where it is sized and passed through the openings in the screen. Once finished, the product simply drops through the milling chamber to a receptacle underneath. During the drug manufacturing process, milling is often required in order to reduce the average particle size in a drug powder. “SigmaMill” Conical Mill will be used for milling of dry & wet material. This mill is in vacuum rated model. Loading and Unloading of material can be done manually or it can be connected with conveying system for inline milling process. 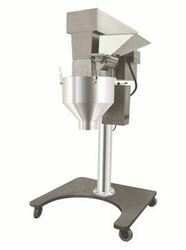 “Sigma Mill” Conical mill operates by having the product being feed into the mill by gravity or vacuum. A rotating impeller forces the material outward to a conical screen surface, where it is sized and passed through the openings in the screen. Once finished, the product simply drops through the milling chamber to a receptacle underneath. A rotating impeller forces the material outward to a conical screen surface, where it is sized and passed through the openings on the screen. Once finished, the product simply drops through the milling chamber to a receptacle underneath. Looking for MULTI MILL ?